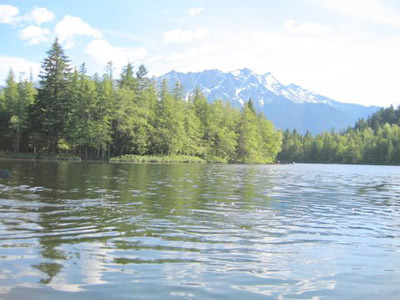 Pemberton Mountain Lodge is on the headland point of a trophy fly-fishing lake in Pemberton B.C., thirty minutes north of the resort town of Whistler B.C. 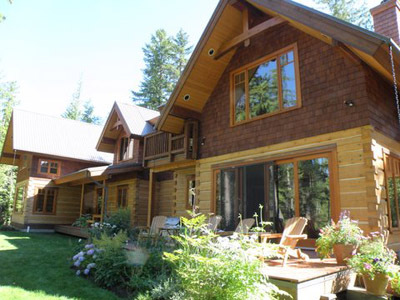 This waterfront and woodland location is the perfect getaway from life's busy pace, yet close to all that Whistler and British Columbia's great outdoors has to offer. 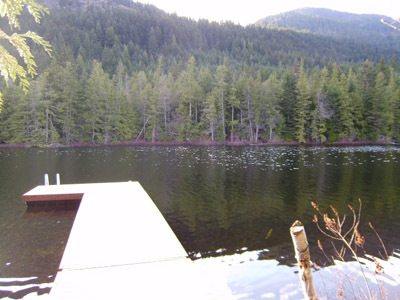 This wonderful lake front five acre property is blessed with a stunning and amazing rural location and is surrounded by gardens and parkland. 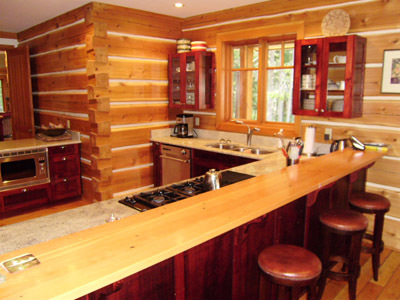 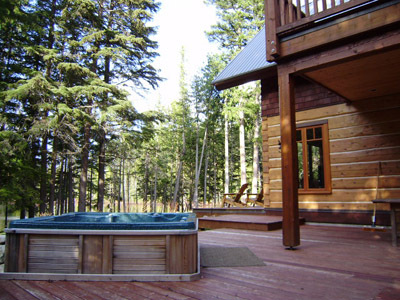 Built by local log builders and craftsmen it is a classic example of the revival in the use of square-cut dovetail chinked Western Red Cedar logs. 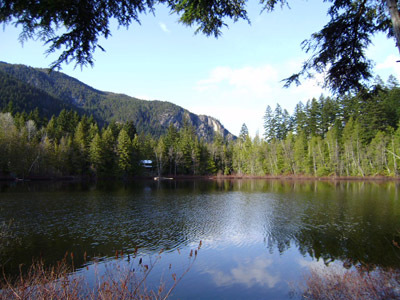 The estate boasts over 700 feet of waterfront with a private dock and is forested with mature trees such as fir, hemlock, cedar and various deciduous trees including wild B.C Dogwood, British Columbia's official provincial tree. 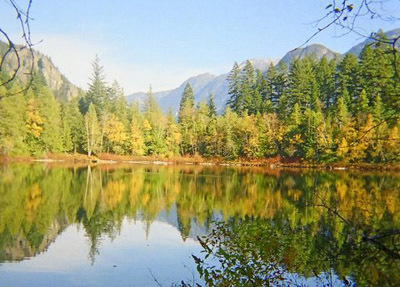 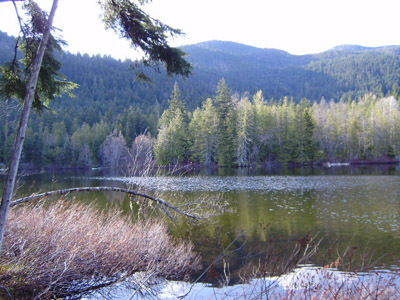 The area is famous for its wildlife including black bear, mule deer, and eagles and is host to a variety of song birds. 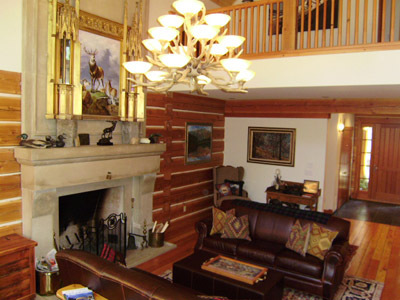 As you enter this beautiful lodge-style home the ambiance and decor is reminiscent of the culture and tradition associated with the Celtic peoples. 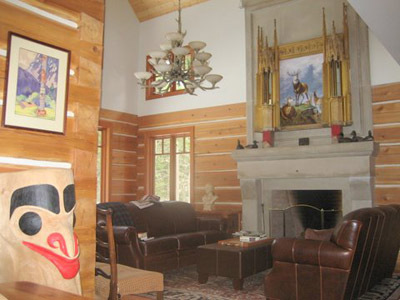 Fully appointed with fine furniture and antiques, the home is also accented with artwork and carvings that pay homage to the rich North West native heritage. 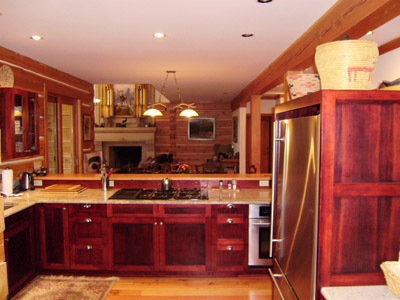 The home consists of first class amenities including a great hall with a baryonic-style open fireplace making for a gathering place within the home. 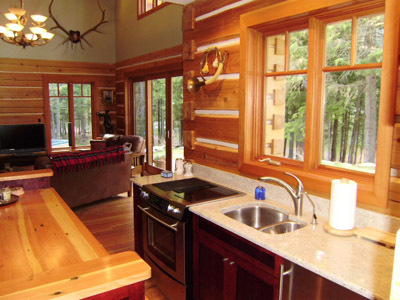 A large, full country kitchen is fully equipped to handle catering for a full complement of guests with top of the line stainless steel appliances and generous sized granite counter tops. 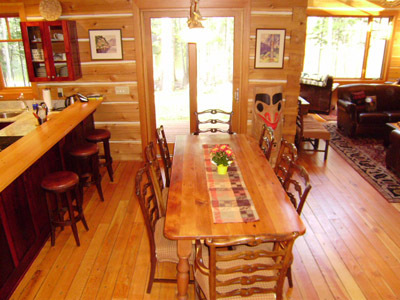 The dining room is open and has an adjoining deck for al fresco entertaining. 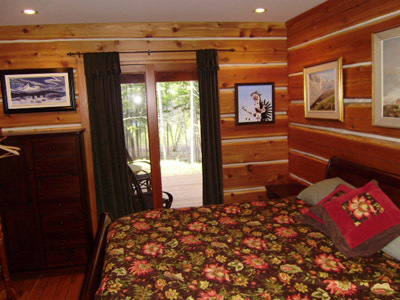 For added convenience, there is a second vaulted family recreation room with a wood-burning stove and a bar and kitchen. 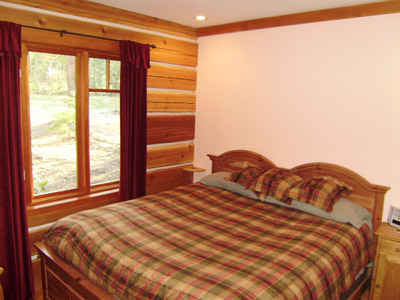 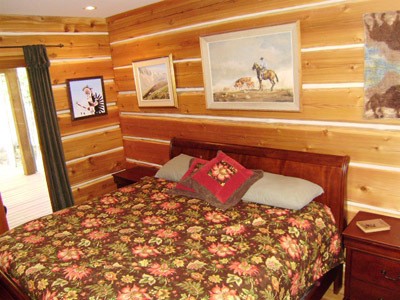 This area is capable of being used as a separate two bedroom guest suite as well. 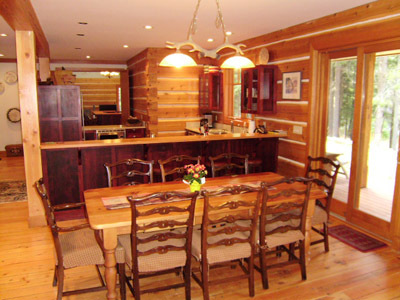 The spacious library is suitable for meetings or small study groups and provides a quiet place to settle in to read a good book. 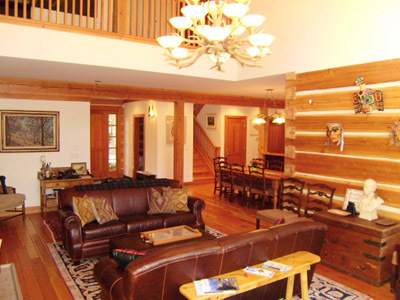 If it's entertainment you prefer, take time to enjoy your favourite movie in the separate home theatre room. 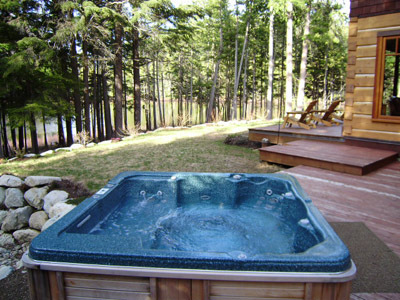 At the end of your event filled day, relax and retreat to the eight person outdoor hot tub and soak your troubles away before retiring to one of six bedrooms with the very best in comfort. 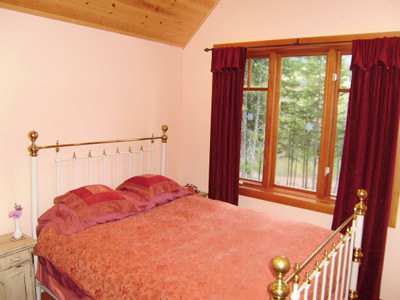 All six bedrooms have their own ensuite and three bedrooms are of a master bedroom standard with their own lake or forest views. 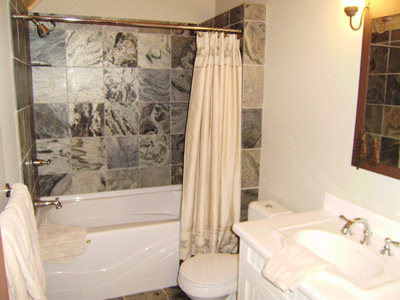 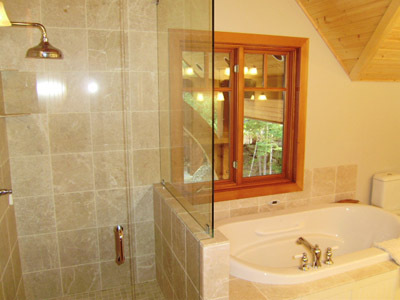 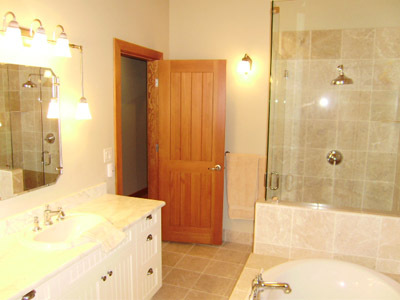 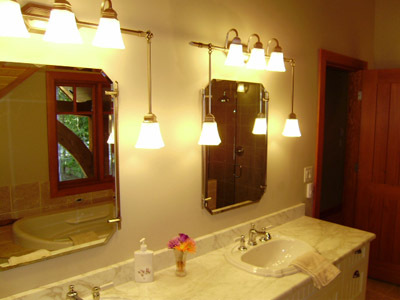 You will appreciate that each ensuite has a heated floor with marble, travertine or stone tiling. 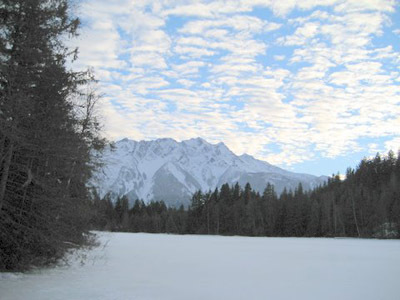 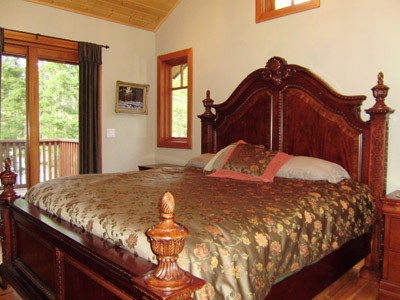 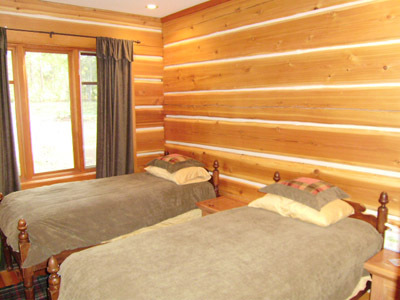 With the large number of attractions within a relatively short drive, Pemberton Celtic Retreat can easily act as the ideal base to explore a vast region of British Columbia. 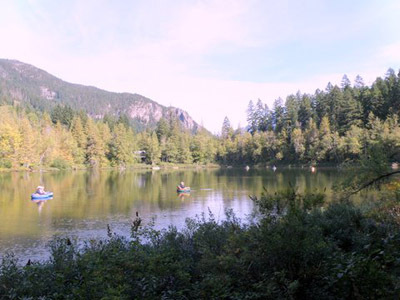 Its relative proximity to Whistler and to the Lower Mainland offers international travelers the opportunity to sample the varied attraction of the Province with relative ease.